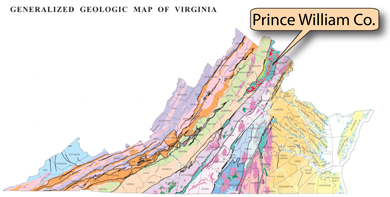 • Mesozoic Basins are shallow basins within the Piedmont. Elevations range from 200 to 400 feet. 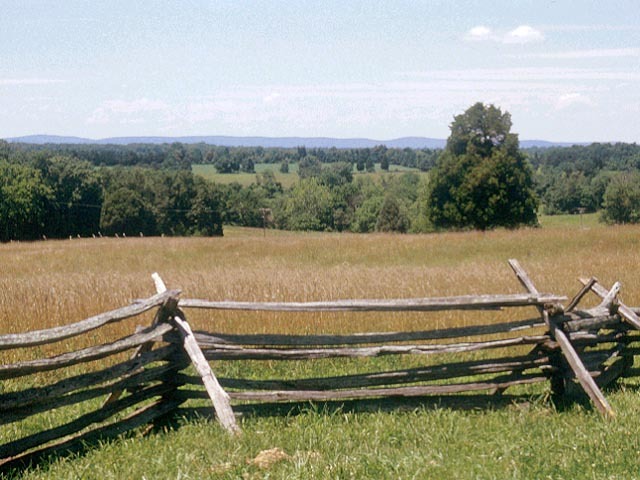 The above photograph shows the low relief of the Culpeper Mesozoic Basin at Manassas National Battlefield Park in Prince William County. 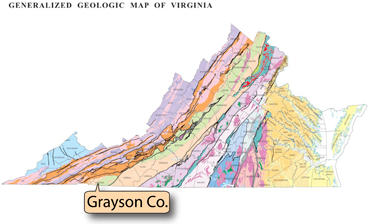 • The Blue Ridge is a long, narrow mountain chain. It is broader and higher in southwestern Virginia. The highest elevation in the state is in the Blue Ridge at Mount Rogers at 5,729 feet. 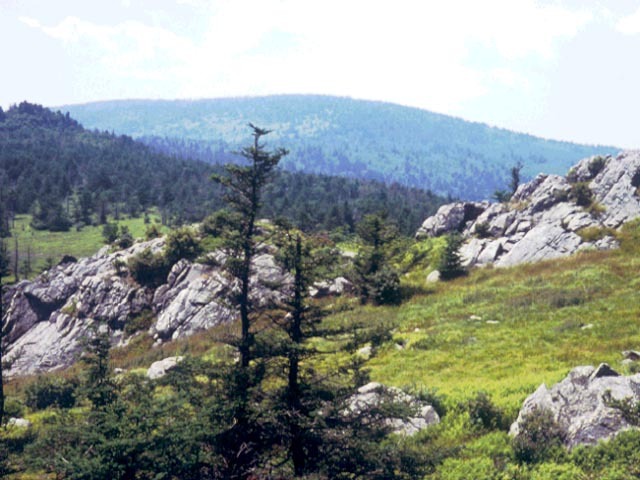 Mount Rogers, in Grayson County, is the highest point in Virginia. This photograph shows Mount Rogers from the Appalachian Trail along Wilburn Ridge.